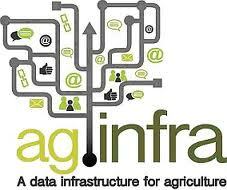 Launched in November 2011, the aim of the agINFRA project is "to design and develop a scientific data infrastructure for agricultural sciences that will facilitate the development of policies and services that promote the sharing of data among agricultural scientists in a manner that develops trust within and amongst their communities" (Susan Rotus, AIMS). Efforts undertaken to exploit the agINFRA Grid Infrastructure and to deliver enhanced services for workflow and task execution. Integrated services to showcase the agINFRA Linked Open Data technology like AGRIS, the international Information System of the Agricultural Science and Technology, and the Global Learning Network. Infrastructure elements, like VocBench and the CIARD RING, released as production systems. The VocBench has also attracted a lot of interest outside the project being now used by the Publication Office of the European Commission and the European Environmental Protection Agency. Currently the CIARD RING contains 1,000 registered information services becoming a central instance for the discovery of agricultural science and technology datasets. agINFRA Science Gateways using the grid infrastructure for computer heavy operations. They have been published together with multiple APIs to link to these services. What is harvesting and how does it work? Who are the users of AIMS and what do they think about agricultural information management standards? This month we asked Xavier Ochoa, Professor of Computer Science at the Escuela Superior Politécnica del Litoral (ESPOL) in Ecuador, to answer 5 questions on AIMS, agINFRA and agricultural information management in general, the issues and possibilities. Read the interview “Coming from Latin America, the main issue agricultural researchers face is access” with Xavier Ochoa in the AIMS Interviews section.